The Benefits of Using a Travel Agent That Specializes in Disney – How It Can Help You! 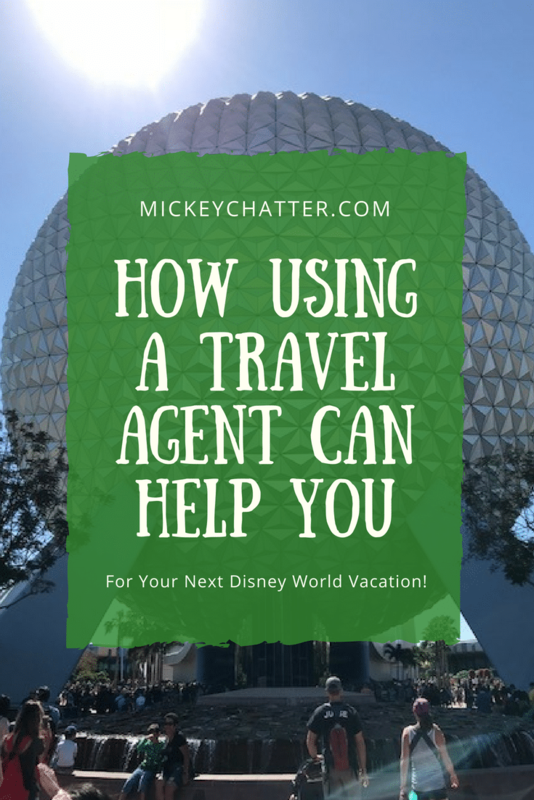 Are you thinking of booking a Disney World vacation and wondering what the benefits are of using a travel agent rather than booking yourself? I used to book my own packages straight through Disney until I was introduced to what a travel agent that specializes in Disney does, and now I wonder why I didn’t use one earlier. Most people don’t realize the benefits of using a travel agent that specializes in Disney vacation planning, but I am going to share all those reason with you today. Before I share those reasons with you, let me tell you that my recommended agency is Click the Mouse. They are an Authorized Disney Vacation Planning Agency and all of their agents are HUGE Disney fans. They provide great service and are a highly reputable agency. If you would like to get in touch with them for assistance with your planning, you can request a free, no obligation quote from them today. A travel agent that specializes in Disney vacation planning will know all the promotions that Disney is currently offering. Not only that, but they will also have an idea of what type of future promotions may be released. Disney does have a pattern of which promotions they release at what time of year and a good agent will know what to expect. With that knowledge, they are equipped to get you the best price on your package. An agent that is prepared for when the new promotions are released will have the best chance at applying those promotions for their clients so that they can help save them some money. No Need To Get Up Early! If you plan to try and get some of the popular dining reservations and/or Fastpasses, then you’ll need to be quick and online as soon as your booking window opens. That means at 6 am EST 180 days out for dining reservations and at 7 am EST 60 days out for Fastpass reservations. As explained in Tips For How to Get the Best Fastpasses, you’ll want to be logged in before 7 am EST and ready to grab those Fastpasses. If you use an agent that specializes in Disney and includes planning assistance, they will do it for you! No need for you to get up early and stress over the process of choosing your Fastpasses. A good agent will have already done this many times and will know exactly what to do to increase your chances at getting the ones you want. Same goes for dining reservations. You need to be up even earlier for that one, 6 am EST. 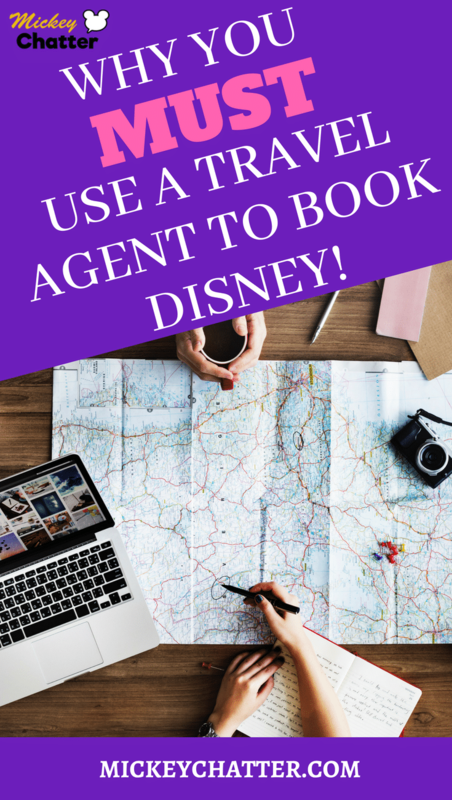 Let your agent do it for you while you snooze away and dream about your upcoming Disney vacation! Disney is well-known for their outstanding customer service. They truly make you feel special and well taken care of when you are their guest. I can honestly say that I have never experienced the level of service that I get at Disney anywhere else that I have stayed. A travel agent that specializes in Disney will strive to give you the same level of service before you even begin your vacation. They will go out of their way to make your planning as smooth as possible, making it feel all so magical. A travel agent that works for an Authorized Earmarked Disney agency is a Disney of College Knowledge graduate. That means that they have passed special courses and earned a certificate in all things Disney travel related. Also, most agents that specialize in Disney are frequent visitors themselves, so they have a lot of first-hand experience planning Disney vacations. 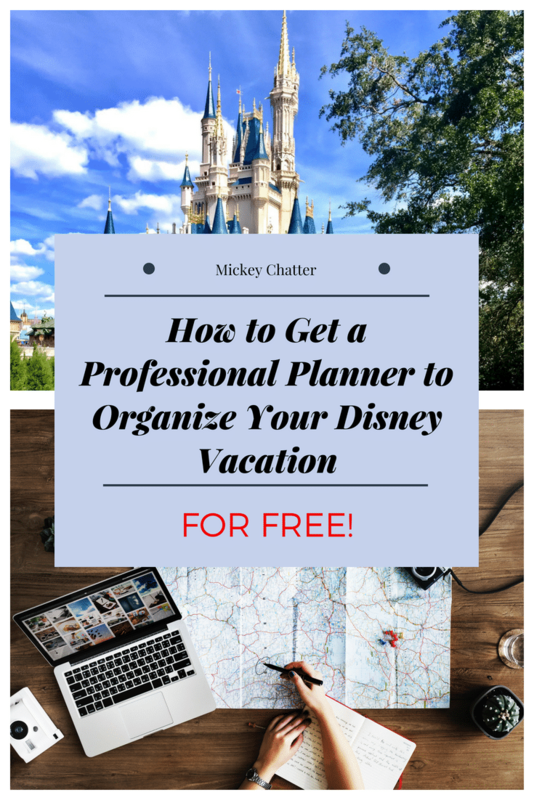 There is SO much to know when planning a Disney vacation and using someone that has all the knowledge will help set you up for a successful vacation. They will be able to provide you with tips and information so that you are ready for your vacation without you having to spend countless hours researching it yourself. Since an agent that specializes in Disney provides you with such personalized service, you may tend to think that there is a fee associated with this. A good agent will not charge their clients anything extra for these services. When an agent makes a booking for you with Disney, they earn a commission from Disney, so that is how they are compensated for the time they put in to planning your vacation. Disney values the help that agents provide their guests in the planning process, so they take care of their compensation. It really is a win-win, you have an agent working for you, but you don’t have to pay for it! Planning out an itinerary is probably the most daunting task when planning out your week. Without the experience of planning previous trips, guests can get very overwhelmed and question if they are making the right decisions. Using a travel agent will give you access to someone that will guide you during that process. They are available to help you build your itinerary and you can contact them anytime to bounce ideas off of them. It’s like having your own personal “Disney-person” to chat with anytime you need help or guidance. A great agent will be aware of all the happenings at Disney and will be able to let you know of any special events. Depending on the time of year, Disney does have special events, so your agent can make you aware of them in case you’d like to fit that in to your trip. Sometimes, after you book your package, you may have a question for Disney or a change that needs to be made to your reservation. To do that, you’ll need to phone Disney to speak with one of their Cast Members. While it is always pleasant to call Disney, you can sometimes end up waiting on hold for awhile for a Cast Member. If you would like to consult with a travel agent to help you with your Disney vacation planning, then request a quote today at Click the Mouse 🙂 Quotes are free and no obligation! How have you booked your previous Disney vacations? Do you usually book on your own with Disney or do you use a travel agent? Tell me in the comments below! Though I love planning all of the details myself, a travel agent specializing in Disney would be perfect for many. Many think that using an agent takes away from the planning, but it doesn’t! You can still do as much planning as you’d like, but you have an expert to lean on when you do need help. It’s the best of both worlds! We have used travel agents before on occasion. They really can save you time and money if they are really good at their job.